During the holidays, on March 5, 6, 7 and 8 a part of the grey (Serpukhovsko-Timiryazevskaya) line will be closed to passengers. Trains will not run between Savelovskaya and Vladykino stations. These restrictions are introduced due to track replacement works. 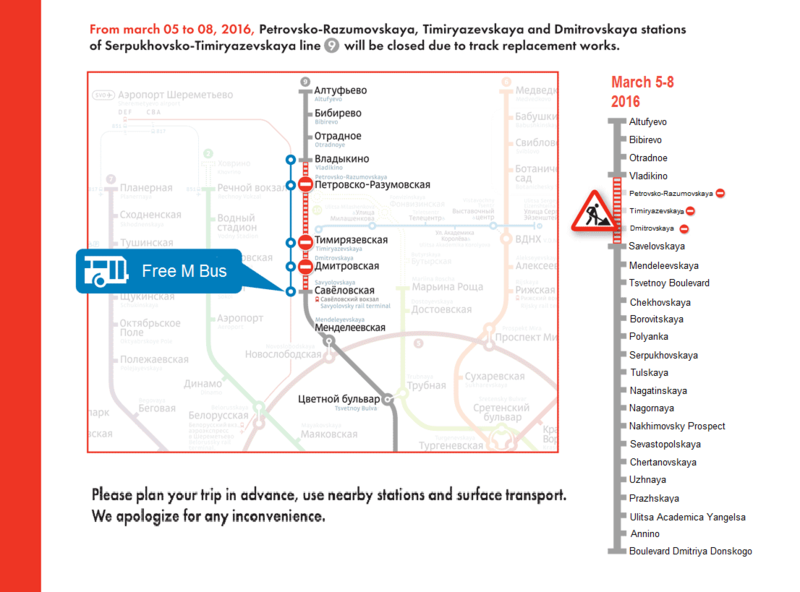 Dmitrovskaya, Timiryazevskaya and Petrovsko-Razumovskaya stations will not work during the weekend and holidays from 5 to 8 March. Their work will resume on Wednesday, March 9, at 5:30 am. 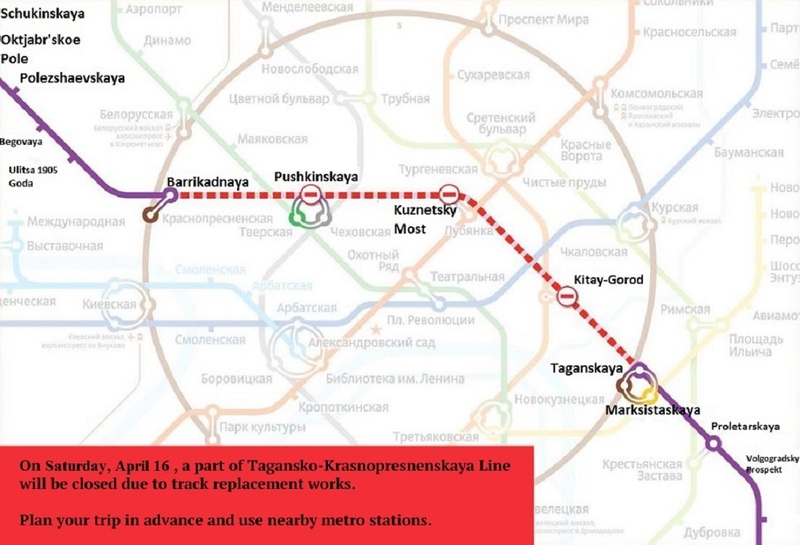 Trains on the grey line will run only from Altufyevo to Vladykino and from Savyelovskaya to Boulevard Dmitrya Donskogo. 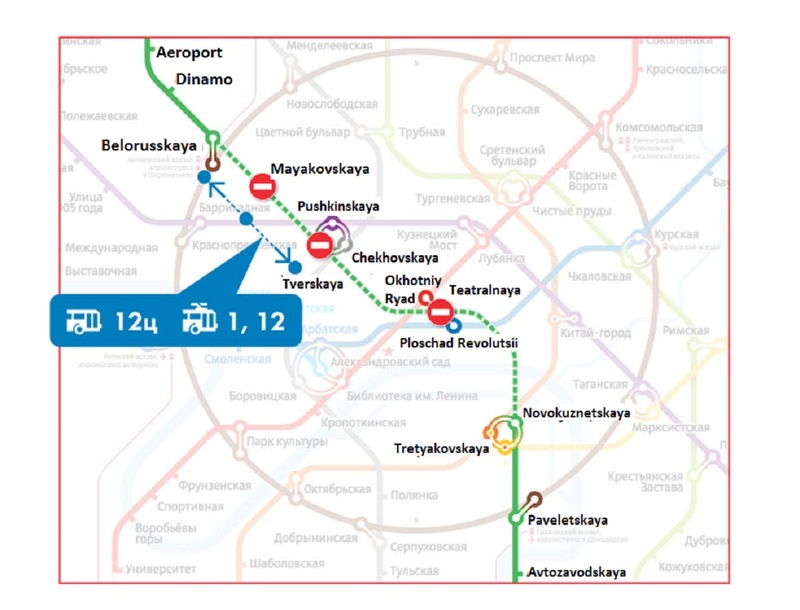 To get to the closed stations, passengers may use a free M bus with stops near the subway stations Savelovskaya, Dmitrovskaya, Timiryazevskaya, Petrovsko-Razumovskaya and Vladykino. Passengers will get a free ticket to re-entry the metro at the exits from Vladykino and Savelovskaya stations. Moreover, there will run three additional free bus routes that will link Serpukhovsko-Timiryazevskaya line with the nearest stations of the other subway lines. 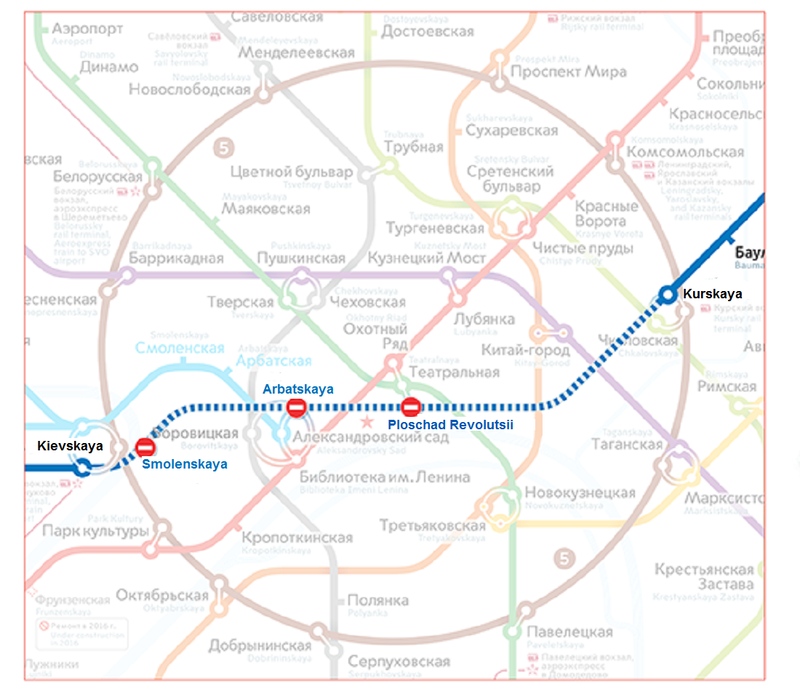 M1 will proceed from Vladykino to Botanichesky Sad, M2 – from Altufyevo to Medvedkovo, and M3 – from Petrovsko-Razumovskaya to Voykovskaya. These bus routes will operate from 6 am to 20 pm. a part of 2nd Kvesisskaya street from Vyatskaya to Butyrskaya streets will be closed. The Moscow Transport Department apologizes for the inconvenience and asks passengers to plan their routes in advance these days.